With the opening of a new plant, the KMRL will be able to save `1.2 crore in electricity cost every year. Presently KMRL generates 5,389 KW per day from its solar power plant at Muttom and the solar panels erected over 13 metro stations. 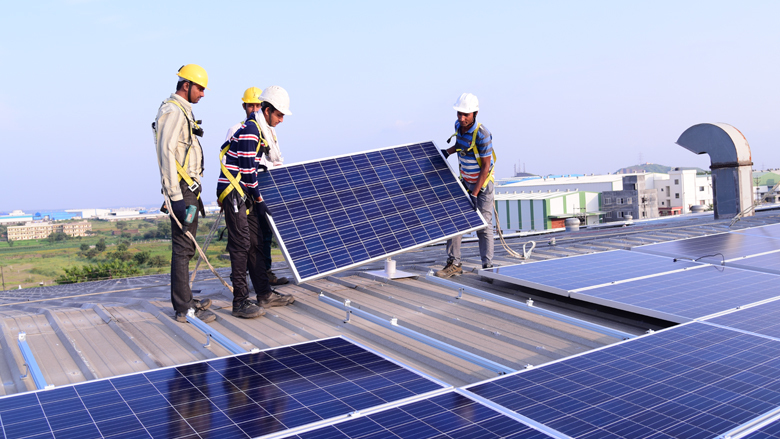 KMRL will also set up solar panels by the side of tracks and ramps. With the opening of a new plant, the will be able to save `1.2 crore in electricity cost every year. A fashion show and musical programme to celebrate the achievement of 2 crore riders. Mollywood actors Jayasurya and Nikhila Vimal attended the celebrations titled ‘Metro 2 Crore Fiesta’ on Saturday at Metro junction in Edappally. The actors took a ride in metro from Edappally to CUSAT. “I travelled in many metro trains. But I think Kochi Metro is the best,” said actor Jayasurya. KMRL MD APM Muhammad Haneesh stated that the number of passengers will go up once the metro extension work on the stretch of Ernakulam Maharaja’s college ground to Petta.